Trust a roofing contractor like Priority Roofing Solutions, Inc. for your property's brand new roofing. We also waterproof and provide roof repairs in San Jose, CA to help you avoid inconveniences at work due to annoying water leaks. Learn about Priority Roofing Solutions, Inc. Turn to Priority Roofing Solutions, Inc. in San Jose, California, for a quality roof repair or installation. Prs, Inc has been in operation since 1999 with an unwavering commitment to our clients and employees. Through connections based on reputation, knowledge, and experience, we continue to provide quality installations for commercial properties and high-end residential projects as well. 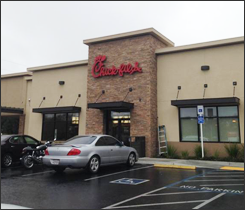 PRS, Inc. provides commercial roof installation and repair in San Jose, CA, serving central and northern California. PRS, Inc. continues to provide quality installations and proven materials for clients varying from private companies and large corporations to government agencies and school districts. We look forward to the opportunity of servicing your roofing needs. Although we are a licensed company located in San Jose, we are servicing a growing list of clientele for both the public and private sectors throughout the State of California. We have signed contracts from customers in Santa Maria and even Redding.